OK, so I decided to redo the LG bulkheads that I screwed up. This necessitated ordering a new sheet of 1/4" H100 from Aircraft Sruce. 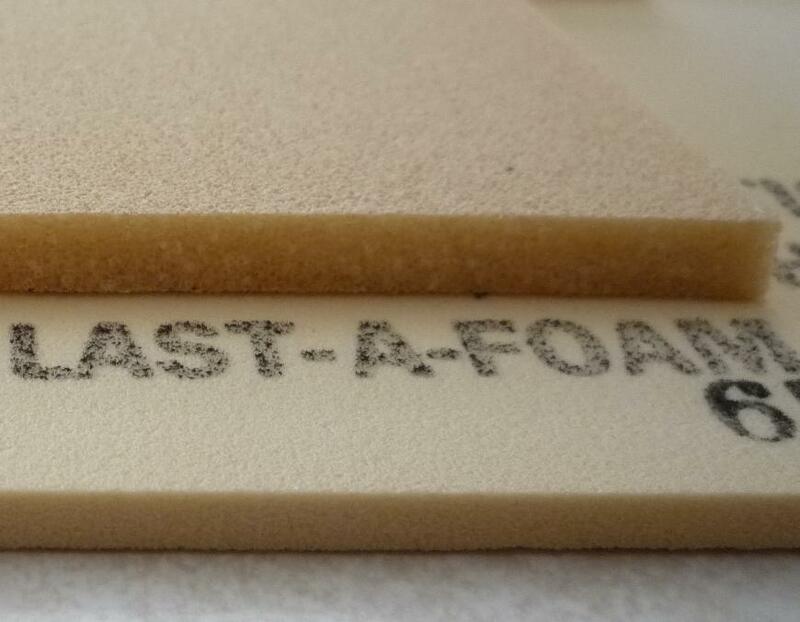 I got the foam today and not I am in a quandry. The foam I received it the right size but it is VERY different from the foam I originally had. Both foams are tan but the new stuff is much denser than the original stuff and I am wondering if the original stuff was not the correct foam. How can I be sure if the original foam was wrong or if I received the wrong foam the second time instead? Attached photo may help. H-100 on top, 18lb Last-a-foam on the bottom. Both appear similar, the label on the bottom one is a giveaway though The H-100 measures .260" thick, Last-a-foam .201"
In my experience, H-100 is very flexible, you could bend it around a large coffee can. Last-a-Foam would break. And then there's the OTHER tan stuff that crumbles into dust if you look at it wrong...used for thicker buildups and is very easy to carve. I can't remember what it's called. Basically the consistency of the foam used by florists. consistency of the foam used by florists. This lovely material is called urethane I probably spelled it wrong.